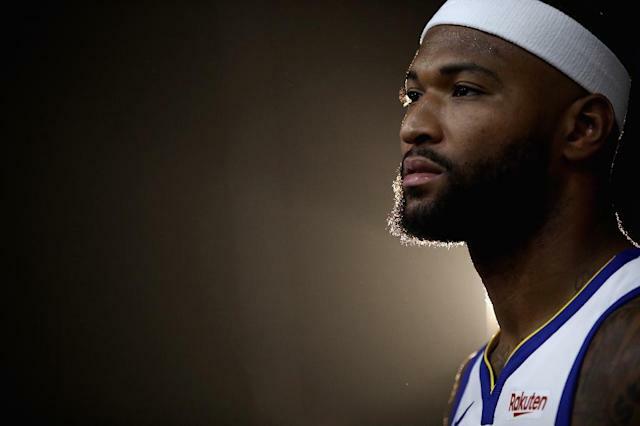 Los Angeles (AFP) - Golden State center DeMarcus Cousins, targeting a January 18 NBA season debut after nearly a year sidelined by injury, will start immediately upon his return, Warriors coach Steve Kerr said Thursday. "Yeah I'll start him," Kerr told reporters at a Warriors practice. "After that, everything's on the table. We have to figure out what the rotations will look like, how many minutes he can play. "We'll have to play around with it -- the minutes, the combinations, the sets. We haven't had a player like him here before," said Kerr, whose starting rotation already boasts the star talents of Stephen Curry, Kevin Durant, Draymond Green and Klay Thompson. Cousins, a four-time All-Star hasn't played since his left Achilles tendon ruptured as he was playing for the New Orleans Pelicans against the Houston Rockets on January 26, 2018. Kerr did not confirm that Cousins will start against the Los Angeles Clippers on January 18, saying the team needed to have some "leeway". Kerr didn't rule out the possibility that Cousins could start in a January 16 game against his old team the Pelicans. Kerr said Cousins had made "big steps" in his rehabilitation of late. "It's looked to us and it's felt to him that he has broken through a barrier," Kerr said. "And we were waiting for that barrier." Kerr noted how hard it was for Cousins to be sidelined for so long, but cautioned that he didn't expect his return to competition to be smooth sailing. "The last couple of weeks he's made a big step and his overall happiness seems better," Kerr added. "He's in a better place and now we've got to help him along because it's not going to be easy when he comes back. This is just the next step of the process."